With all the work that goes into setting up your vacation rental such as interior design, marketing, website design, listing, etc. it’s easy to overlook one of the main features of your rental and that is the kitchen. That’s why I am here! Here are the 5 must haves for your vacation rental kitchen to make your guests stay more enjoyable. Now I’m going to assume you already have the basic items, and if you don’t know where to start or just want to double check be sure to download the Designed For Profit – Kitchen Essentials Guide here. This one is easy to forget but is super useful and makes your guests lives easier when cooking or baking. What can beat throwing all your ingredients in a crock pot in the morning and coming back to a ready made meal and a house that smells divine? 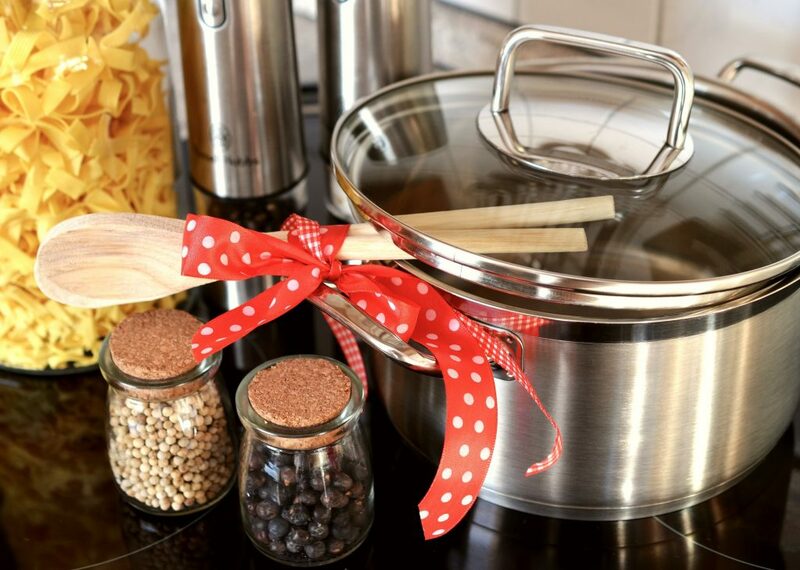 Give your guests that experience and ease of cooking by stocking your rental with a crock pot. Even if your tap water is safe to drink save your guests the hassle of needing to purchase endless water bottles during their stay. Not only does it save your guests money but also helps the environment. Cooking meat or grilling for a crowd is easy with a meat thermometer to ensure everyone gets the type of meat they like whether its medium, well-done or rare. Not only are these great for guests who love shakes but they can be used to make awesome dips, cocktails, sauces and dressings. When guests arrive they are usually tired and hungry so stocking your pantry with some basics such as cookies, juices, breakfast foods, fruit, coffee, tea and milk will be very much appreciated and usually translate to better reviews. If you really want to go the extra mile you could also contact your guests and ask if there are any food allergies or restrictions and stock some items of those as well. Want to be a Superhost? check out our Designed for Profit – Premium Pantry List here.